ID: 2420 ~ Source: Conger, Roger Norman., and Kari Vanhoozer. A Pictorial History of Waco: with a Reprint of Highlights of Waco History. Texian Press, 1998. 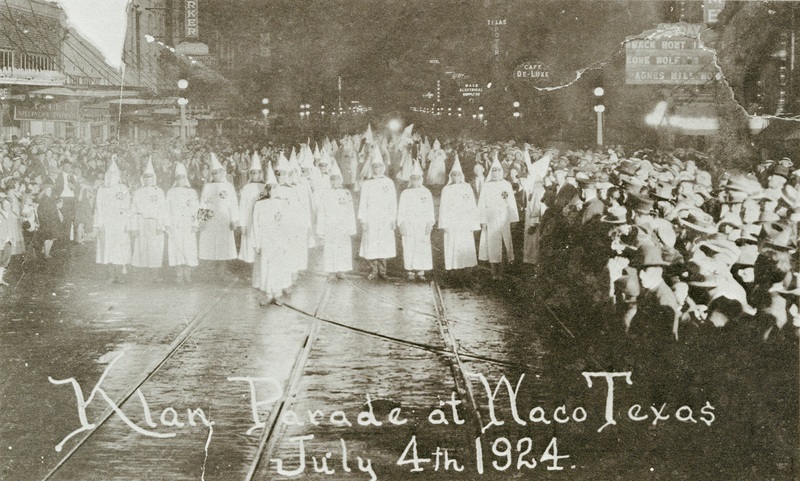 The reorganized Klan of 1915 followed the instructions of William Simmons, who wrote the “Kloran,” the official rulebook of the organization. All Klansmen were part of the “Invisible Empire,” comprised of realms and provinces. Individual Klan chapters were referred to as Klaverns or Dens, led by a Klaniff, or president.